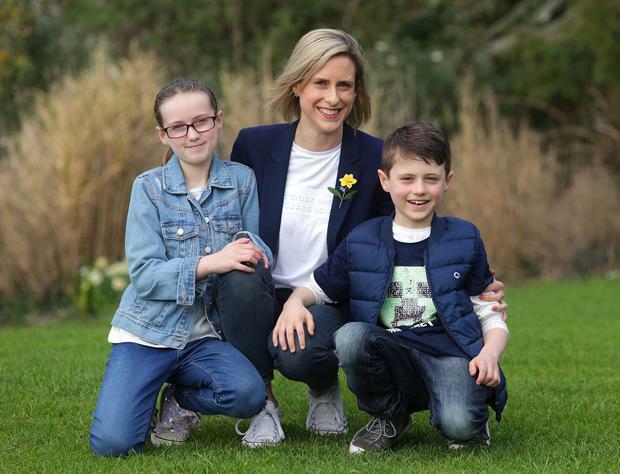 Ms Plunkett, who is mum to Corinne (11) and Gavin (9) was diagnosed at an early stage, and it hadn't spread to her lymph nodes, making treatment more effective. "I was very lucky that I found a lump myself. I had it for two weeks, and it didn't go away," she said. "I had my right breast removed and then I had reconstruction," she added. "There is so much research being done at the moment, thank goodness. "It so important to ask the people who know, whether it is your doctor, or your consultant," she said. She said that she found the Irish Cancer Society's cancer nurse line a great help during her illness.